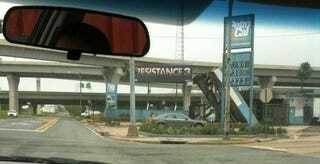 Insominac Games just announced at Gamescom in Germany that Resistance 3 will be out on the PlayStation 3 in 2011. We first heard about the game in 2009, via... a billboard. No gameplay was shown of the game. Instead, Gamescom press conference attendees got to see a live-action trailer that showed train tracks, dead cows, ruined buildings, some hobos and that train going into a tunnel. The hobos arm up. The Chimera appear. Gunfight.